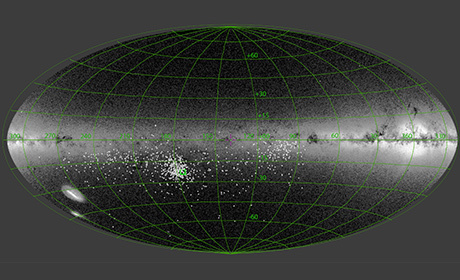 Heidelberg researchers verify this phenomenon using Gaia data from the Hyades. 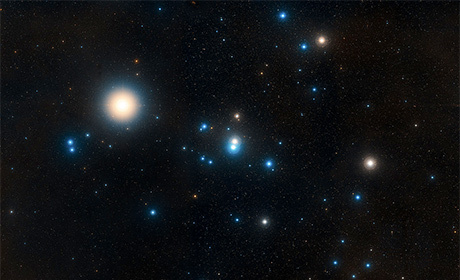 From this data, the Heidelberg astronomers identified two tidal tails of the Hyades with a total of approximately 500 stars extending up to 650 light-years from the cluster. Dr Siegfried Röser of the Königstuhl State Observatory of the ZAH explains that one of the tails precedes the open star cluster and the other follows it. 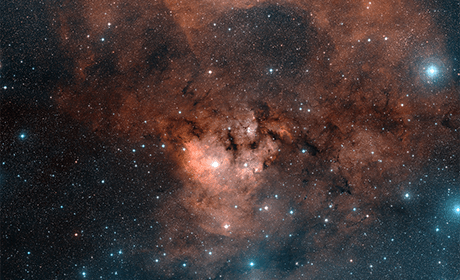 “Our discovery shows that it is possible to trace the trajectories of individual stars of the Milky Way back to their point of origin in a star cluster”, states Dr Röser. The astronomer believes that this marks the beginning of many significant discoveries in galactic astronomy. Apart from the Heidelberg astronomers, a team of researchers from Vienna also discovered the tidal tails of the Hyades. Three working groups from Heidelberg, Cologne and Potsdam are involved in a joint project to develop a new technology for astronomical research. The researchers intend to render micro-optic systems used in telecommunications suitable for use in large telescopes. 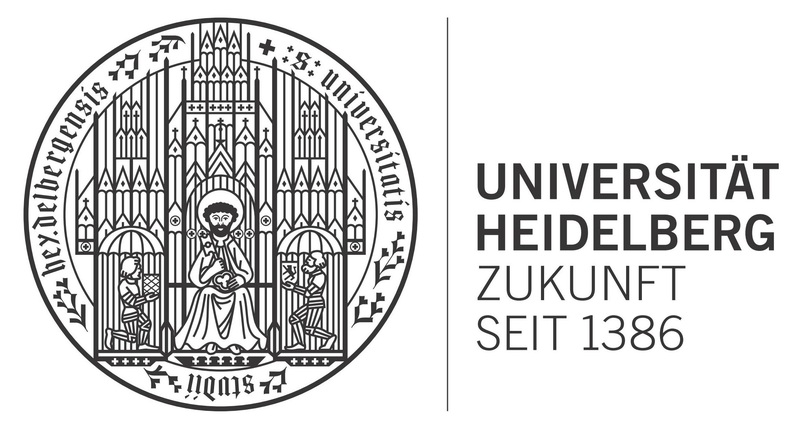 The collaborative project is being supported by the Königstuhl State Observatory of the Centre for Astronomy of Heidelberg University, the Institute of Physics I of the University of Cologne, and the Leibniz Institute for Astrophysics in Potsdam. 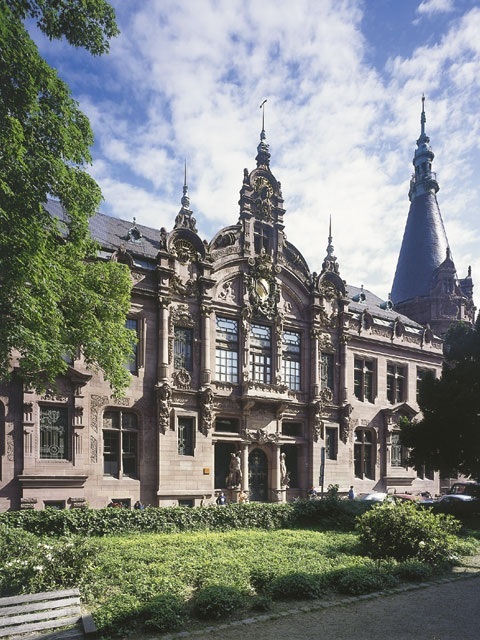 The German Research Foundation (DFG) has approved funding of approx. 1.1 million euros for the three-year project, which recently started work. The “Novel Astronomical Instrumentation through Photonic Reformatting” (NAIR) project is being funded by the DFG within the “New Instrumentation for Research” call for proposals. The researchers in Heidelberg, Cologne and Potsdam will design and test components that can efficiently rearrange the light of stars and galaxies to enable high-precision measurements of cosmic objects. This new technology is targeted for use on large telescopes in order to, for example, search for earth-like planets of nearby stars and determine their atmospheric composition. “When building spectrographs for modern telescopes, we increasingly encounter technical and financial limitations,” explains Prof. Dr Andreas Quirrenbach, Head of the Königstuhl State Observatory. “However, in the coming decade telescopes with mirrors up to 40 meters in diameter will be placed in operation. We need new concepts to exploit the potential of these giant telescopes.” One of these innovative approaches is the reformatting of light: for example, a light beam with a cross-section in the shape of a thin line is formed from a circular beam. According to Prof. Quirrenbach, it is also possible to use relatively small spectrographs with very large telescopes if they are fed these “squeezed” light bundles. Heidelberg researcher Dr Robert Harris already worked with the rearrangement of starlight while preparing his doctoral dissertation. He came across micro-optic devices used by the telecommunications industry in switching centres for fibre-optic networks. They have complex functions in a minimum amount of space and are therefore suitable for reformatting light. Now Dr Harris is developing components specifically tailored to the needs of astronomy. 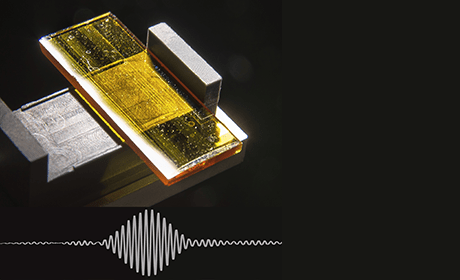 There is a further application for these photonic systems, according to Prof. Dr Lucas Labadie of Cologne. “If several telescopes are connected to a so-called interferometer, we get sharper images than would be possible with a single telescope. For this purpose, all light bundles must be combined and superimposed with the highest precision.” Achieving this requires optimising the components and better understanding their physical properties in order to minimise light losses, as Dr Stefano Minardi and Dr Roger Haynes from Potsdam emphasise. The DFG funding provides for staff and laboratory equipment to develop and test new micro-optic systems concepts for use in astronomical instruments. The technology should also be made available to others working in basic scientific research. Multicore optical fibre for use in high-precision spectrographs. 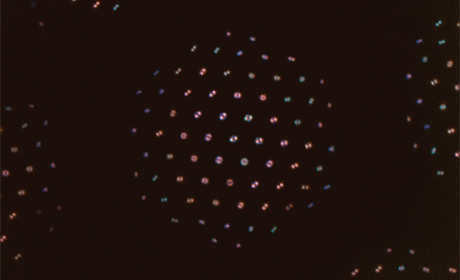 The different colours and shapes show that the optical fibre mixes the incident white light and thus greatly reduces unwanted interference effects observed by the spectrograph. This is required, for example, to find earth-like planets. The optical fibre named MCF511 was manufactured at the University of Bath (UK).